Estonia? Is that in Oregon? It’s truly hard to quantify how many people move to Estonia from the United States every year. Not just in the sense that people moving around the world is more common and that it can be difficult to tell if people are moving for very short periods of time or with the assumption of never returning to their homeland but in addition to that, the US government doesn’t really keep track of where people move to in any given year. Despite the fact that they collect taxes from all people holding US citizenship living abroad, they don’t really seem concerned as to where that money is coming from as long as you get your papers in by tax day. The most recent information I could find was that in 2013, 256 Americans were reported as living in Estonia. In light of that and a general lack of American knowledge of geography (a fault I was guilty of myself until watching Eurovision a decade ago – though that’s an entirely separate post) I’ve spent the past 3 weeks telling people where I am moving, watching for a reaction and inevitably answering the most Googleable question, “Where is Estonia?”. 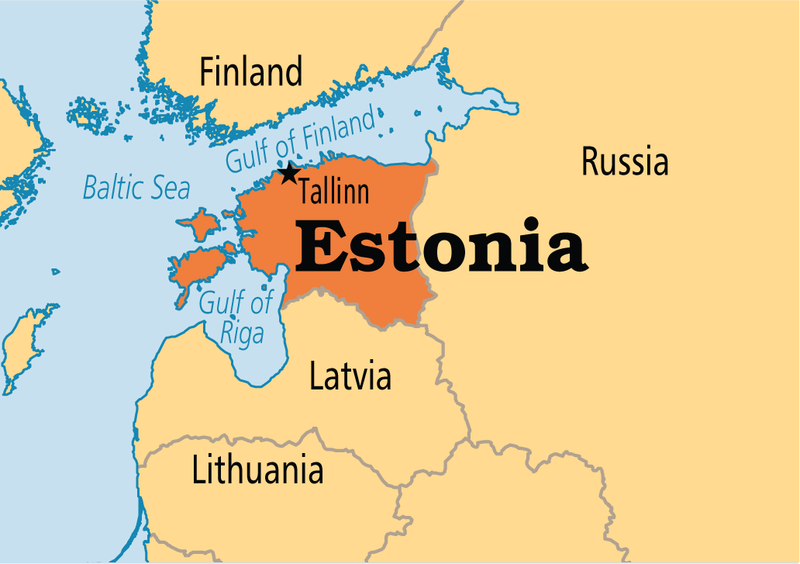 Estonia is a Baltic country, located on the Baltic Sea just south of Finland. There are only three Baltics countries and Estonia is the most northern one who is by far the worst at football (that’s soccer for you Americans keeping track at home). Estonia’s major cities are few, it is about the size of Maryland, it’s people number just over 1.3 million, and despite it’s proximity and history with Russia they speak Estonian – a language descended from the same tree as Finnish. To put this in perspective, the county in New York that I grew up in has more people than the entire country of Estonia. 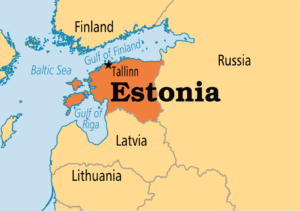 Estonia was previously controlled by the USSR but since 1991 has broken away and become quite a mover and shaker in Eastern Europe. They joined the EU and NATO in 2004, they’re an OECD country, they rank highly in education and healthcare (both higher than the US), they use the Euro and most people under 35 are bilingual in Estonian and English. You may not know that you know Estonian things but Estonians created KaZaa (the file sharing program of the Napster era) and Skype. Estonia is especially known for its tech sector, their fast and omnipresent internet which is ubiquitous enough to be a meme, and for being able to do their voting and taxes online. Estonians love spas, being foodies, doing outdoor activities near the sea, large scale music festivals, drinking vodka, taking their free public transport, and having an entirely preserved medieval town as part of their day to day life downtown where people live and work – as in, it’s not a tourist trap, the medieval town is just where people live and work. Estonia boasts all the things you’d expect from Europe. They use the Euro, they have a form of socialized healthcare, they love to take vacations, they have 18 months of paid parental leave, there are national paid holidays, there are fairly strong worker protections including a ceiling on the number of hours worked and you cannot be fired without reason or notice, they do pretty well in Eurovision (and they won once too! ), and they prefer to walk, bike, or bus instead of hopping in a car. They have very low cost of living, reasonable caps on rent, and a culture that prides itself on fresh food available to all. Estonia is a pretty hip country despite an older population and they regularly have food, music, and fashion festivals and gatherings, especially in Tallinn. Naturally, all of this is easily looked up online but at the moment I’m still sitting in my apartment in the US waiting to leave on Saturday. Everything seems very uncertain right now but at least on paper, Estonia sounds like a great place I want to be. I wanted to move somewhere that I had already been but I guess that wasn’t in the cards for us so I’ll have to tell you more about Estonia first hand when I get there. Until then, if you wanted to think nice thoughts about us having the smoothest trip possible, that’d be great.